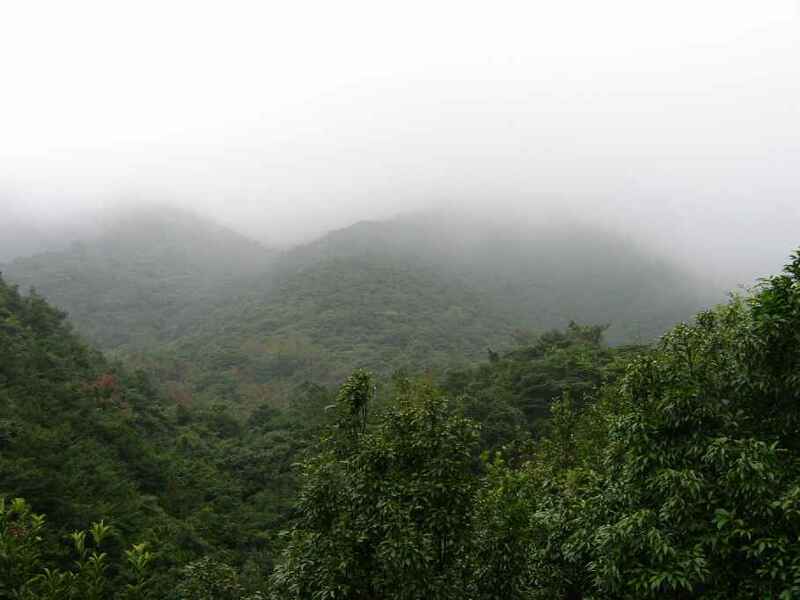 On Saturday, Gail & I decided to get out for a bit of exercise so we set ourselves the challenge of climbing Wu Tong Shan mountain once again; the main peak only this time. After a bit of a late start we eventually made it to catch the 211 bus for the hour long ride to the Wu Tong township. 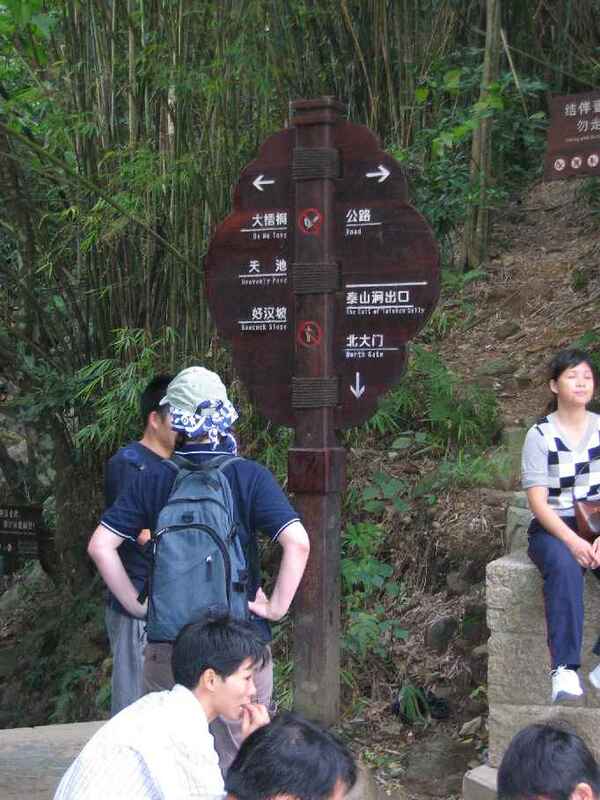 Rather than take the road we decided this time to take the path through the Tai Shan gully. 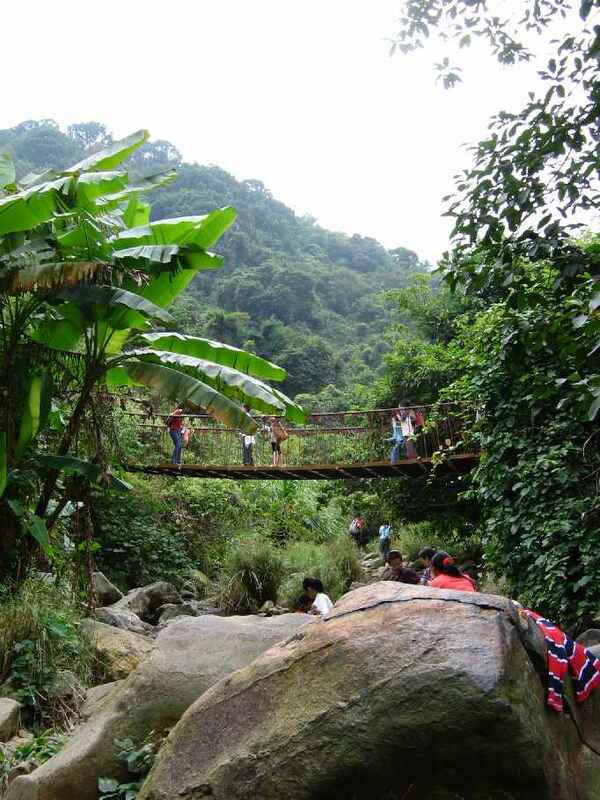 This path loosely follows a stream that twists and turns its way down the mountain side. This was really refreshing. 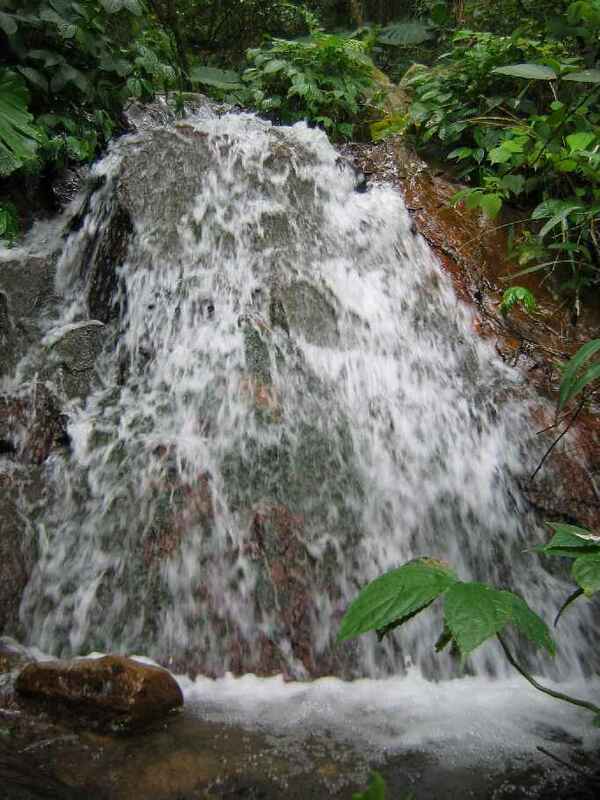 We were quickly enveloped by greenery all around and the sound of running water in the distance. 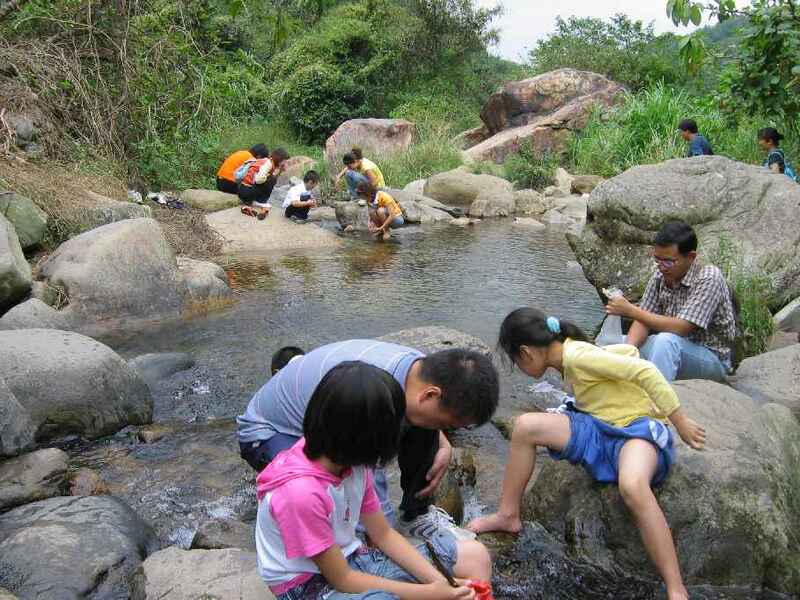 Once we passed a small dam we came to a rock pool in the flow of the stream where we could get down to the water. People were playing and drinking the water. It was so clear! I have never seen water this clean or clear in China before! 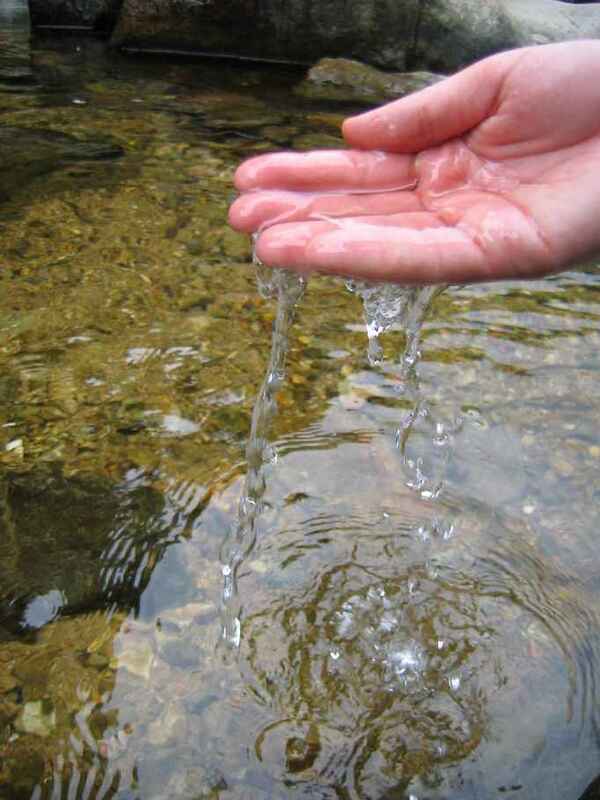 It tasted just like rain water, which is fair enough since that is what it was. There are always plenty of amusing signs along the way. They usually tell you to do things like ‘No litter or kindling’, ‘For the sake of you and families, please don’t climb cliff face’ or ‘Please no camping and don’t pick herbs’. I was curious to know whether the signs were being translated literally so I asked a friend to translate this one. The Chinese words say “The mountain is high, the path is rough. 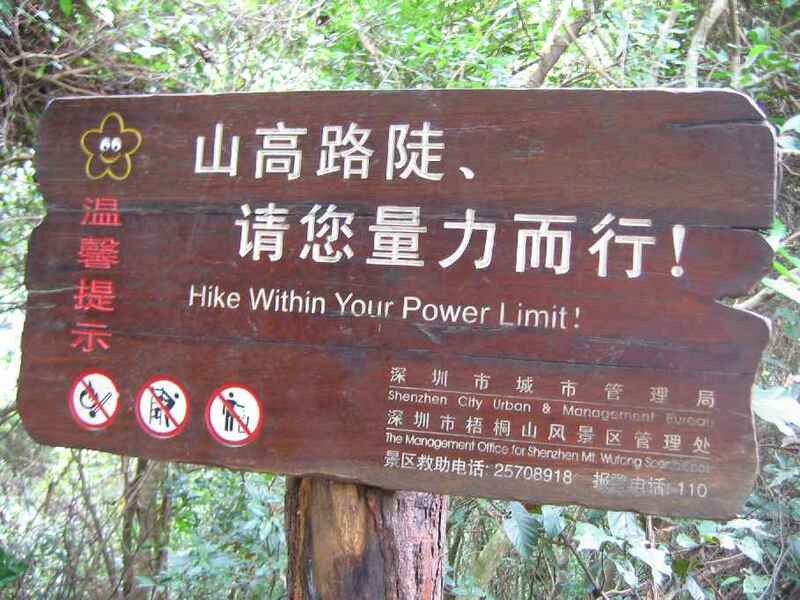 Hike within your power limit!”. 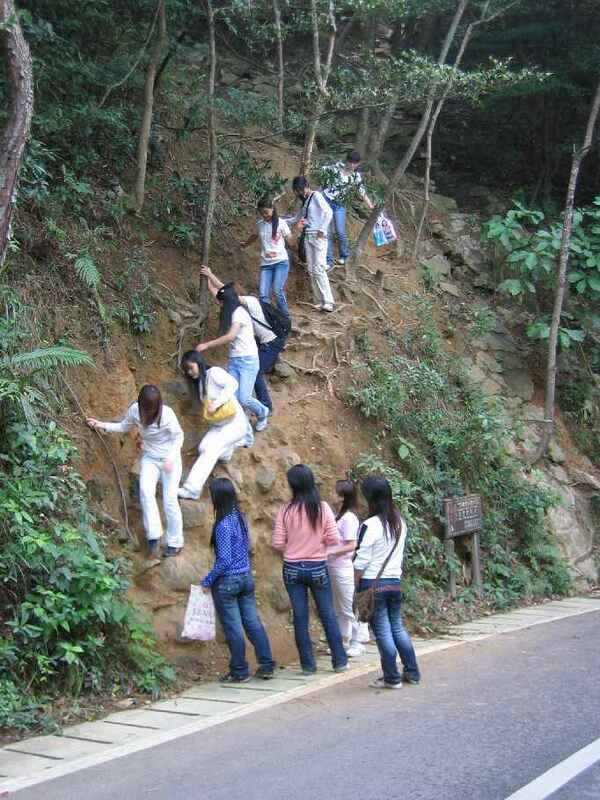 There are a number of options for going up the mountain. There are many other things to see besides the main peak. Other things to see include smaller peaks, gullies, streams, etc. Here is Gail pondering the next move and taking a breather. 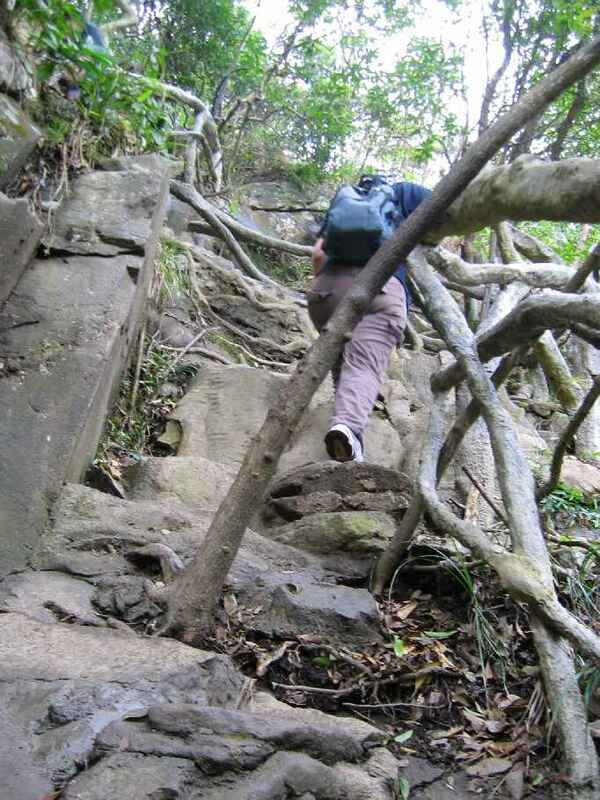 The further up the mountain we went the poorer and steeper the path became. 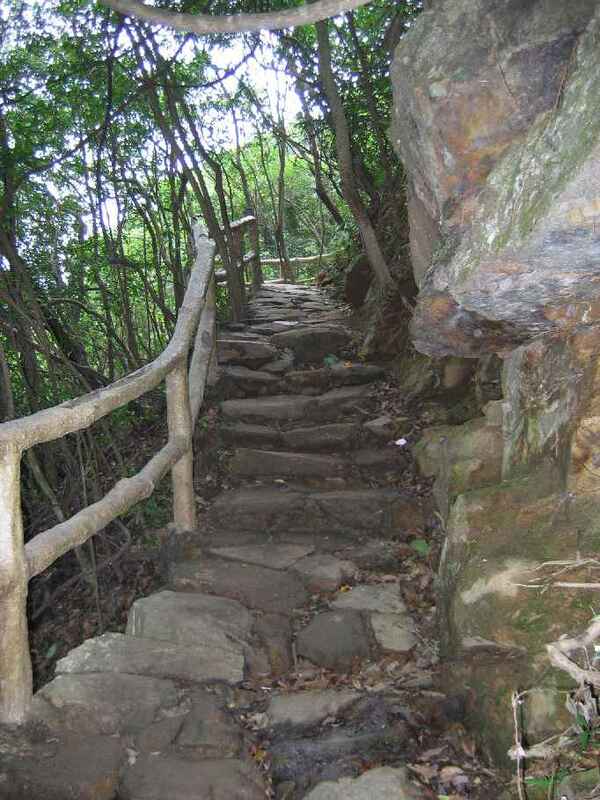 Fortunately there are man-made railings along the path that helped us through the trickier parts. The railings are made from some form of concrete formed over a wire frame and finished to look like wood. This helps to minimise the detraction to the environment that steel fences would be. We really had to work hard up the latter parts of the climb. It really was ‘one foot in front of the other’ stuff. After about 2 hours of climbing we passed through a rain shower and finally into the fog. Everything above a certain altitude was submerged in fog. We continued on regardless, despite the ever-dropping temperature. 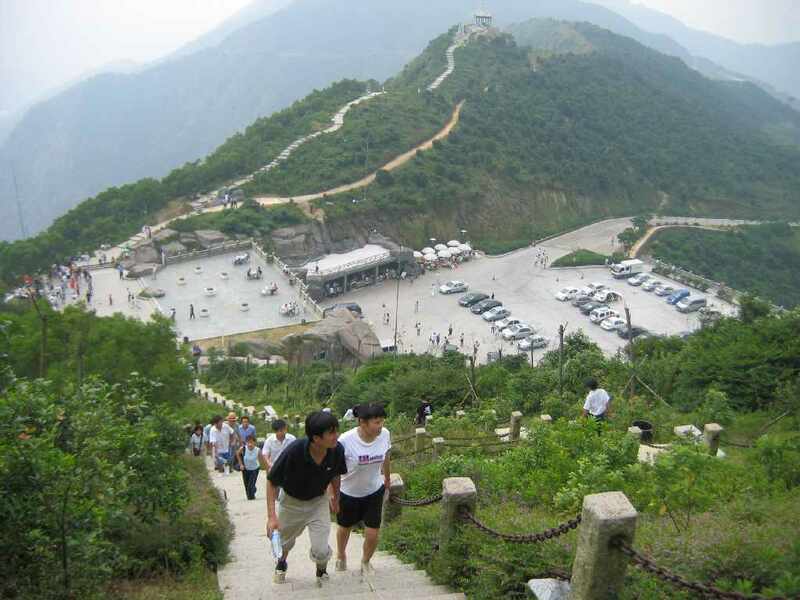 We eventually emerged from the path and joined the road about 600m from the car park at the base of the stairs (see last Wu Tong Shan post). We sat to rest and drink. 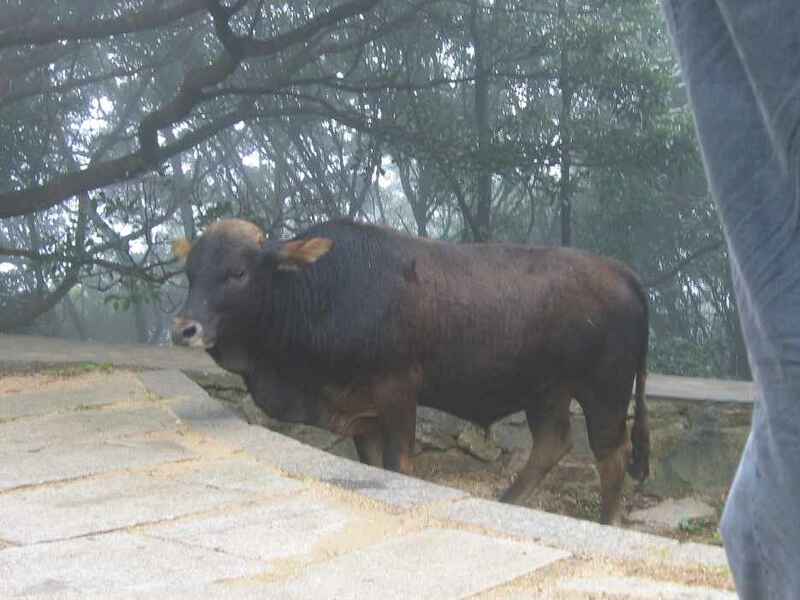 While we rested these three cows emerged from the trees and the smog and milled around. Eventually the man responsible for picking up rubbish at this particular spot chased them away. After 2 1/2 hours of solid going we eventually emerged at the car park. It was foggy and very cold! We were dressed for the warmer weather of the city below and weren’t prepared for this. 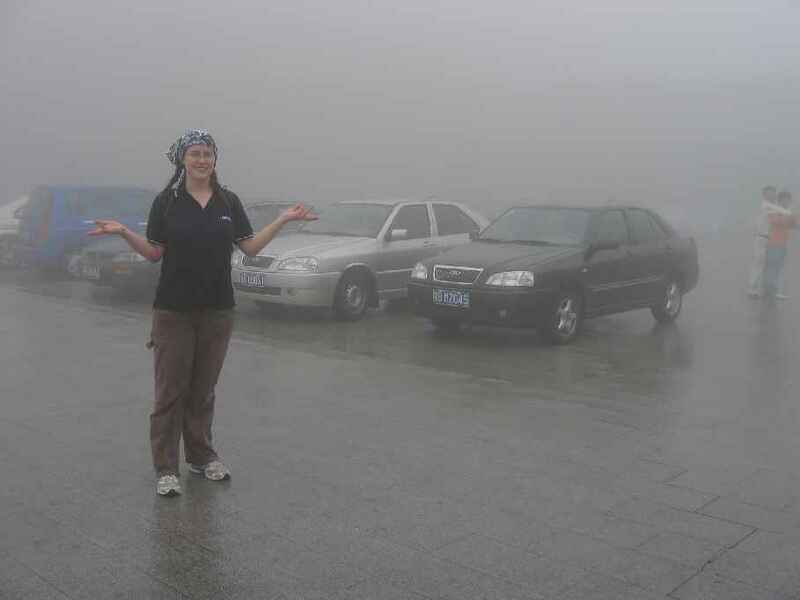 Visibility was down to about 20 metres or so. Check out Gail here in the car park. All that can be seen is the first row of cars! It was getting on a bit so we abandoned the idea of going all the way to the peak (another 45 minutes). We consoled ourselves with a spot of lunch. 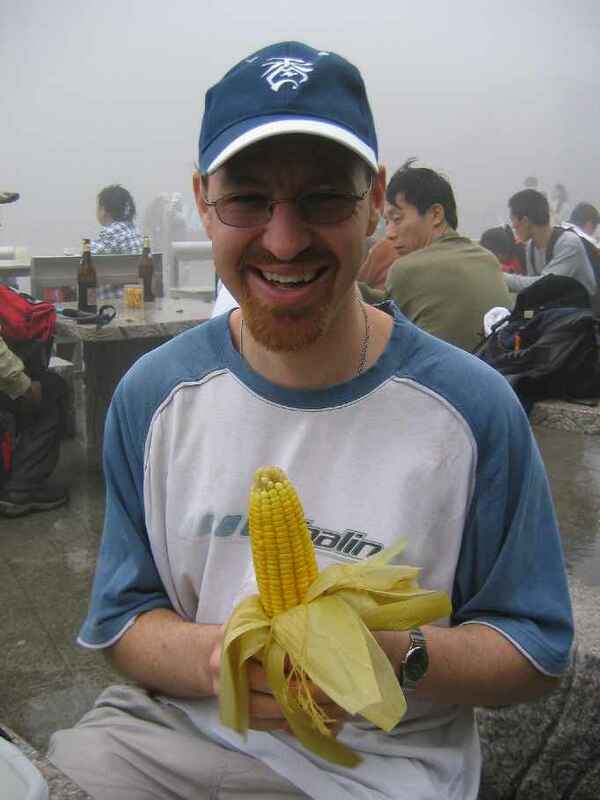 We augmented our own supplies with some nice and hot corn from the local ‘greasy spoon’ for an extravagant 3 RMB a piece. We took the road all the way back down. Along the way the road bends back and forth in lots of places and there are obvious paths where some of the locals take short-cuts between the levels, like this gaggle of young girls. They insisted on having their photo taken with us. We kept a tally of all the people who either said hello or wanted their picture taken with us during our trek. The score for the trip was 27.3 - 27 unsolicited English ‘Hello’s’ and 3 photographs. The count was down a little on our last trip but because of our less-travelled path up the mountain this was not surprising. As winter approaches the days are shortening. Thankfully, we made it down to the bottom in about 1 hour and 40 minutes, about 1 hour before sunset. Exhausted but satisfied we headed for home. A couple of people have requested that I talk a little more about the food of the local area, so I will. 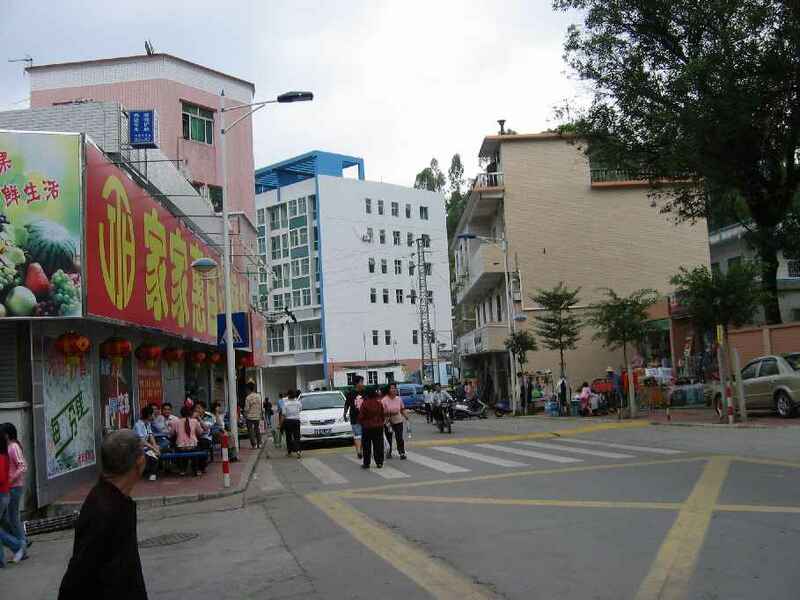 Shenzhen is a real melting pot of cuisine because most of the residents have moved in from other parts of China. This means that they have brought their own food and culture with them. In Shenzhen it is possible to eat food originating from practically all over China. This is great for trying new things. The only downside is that, not being able to read Chinese, I have no idea where in China the food I’m eating is from. Come to think of it, I often don’t know what I’m eating in the first place! As I write this we’re just 15 minutes for heading off to return to Australia. Yay! We’re going direct to Perth for Warwick & Kiah’s wedding. After that, Gail returns to HK whereas I have a 5 day detour in Adelaide. We’re both quite excited. A flying visit, but a visit back home none the less. 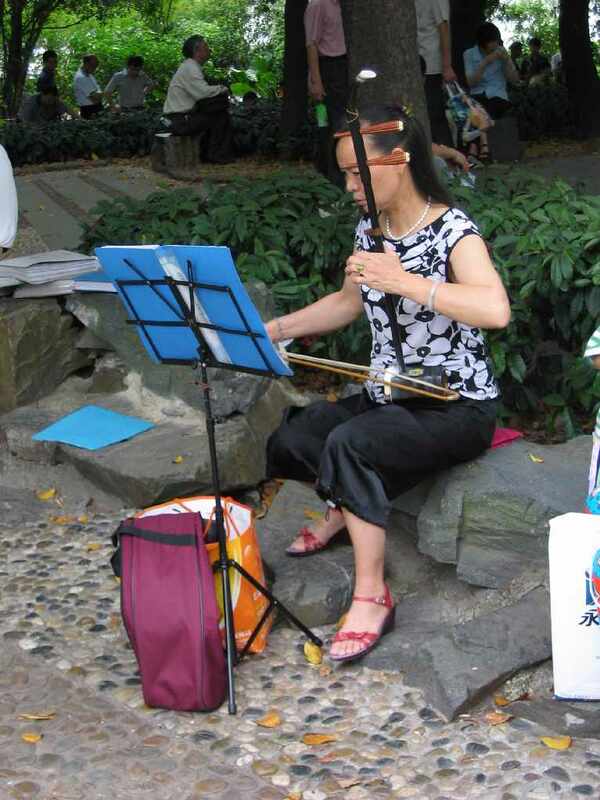 Here in China we often find people playing music in public places. Sometimes they are busking, sometimes they are promoting some kind of club or cause, sometimes they are practising and other times they are just having fun. Litchi Park, not far from our apartment, is a common place to find these people. 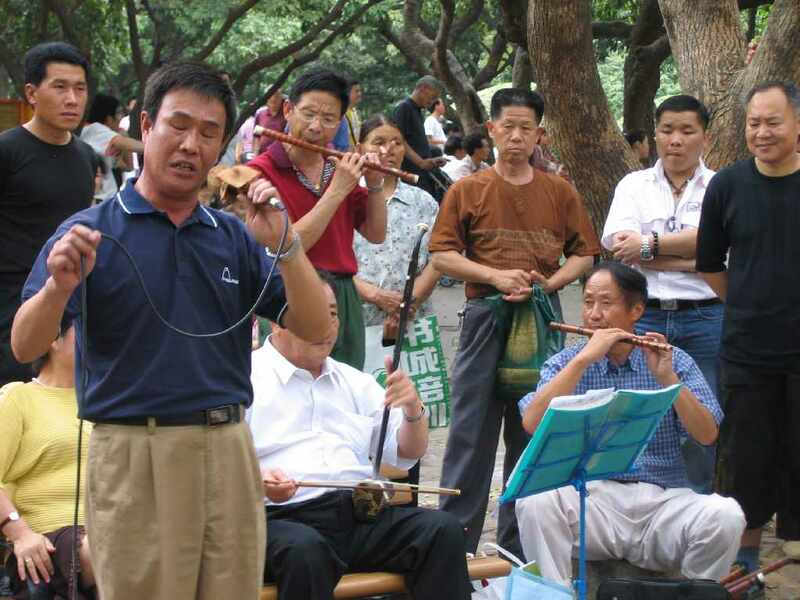 On the weekends we will find maybe 20 or 30 people in the park singing to a crowd or playing to themselves. 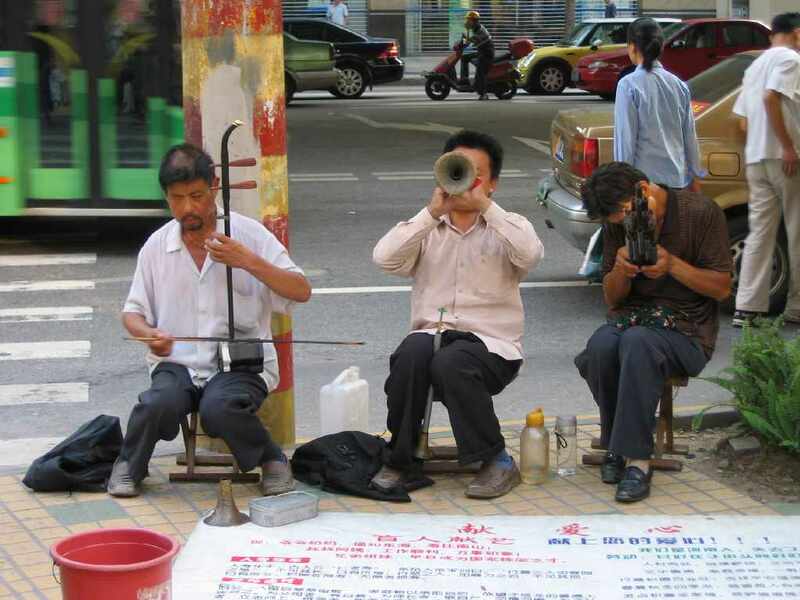 Despite the unusualness and sometimes abrasiveness of the pentatonic scale to our octave-oriented ears, it really is a wonderful part of the Chinese culture to have singing in the streets. Since moving to China we’ve sampled a couple of locally produced wines. I have to say that they’ve left a lot to be desired. 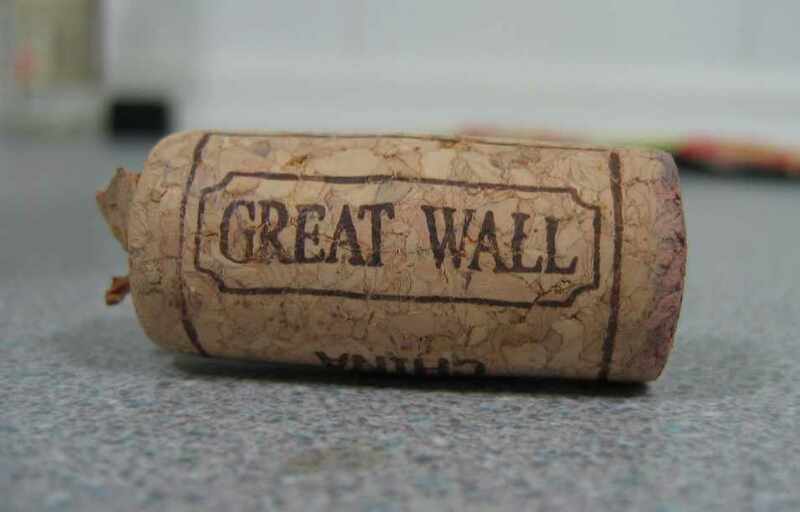 We’ve tried a couple of bottles of red from Great Wall and not really enjoyed either of them. One in particular was very poor. We kept it for cooking and we didn’t like it even then! In fairness both of the bottles we’ve sampled have been fairly inexpensive. Maybe we’ll have to try a dearer one to see if it’s any better. 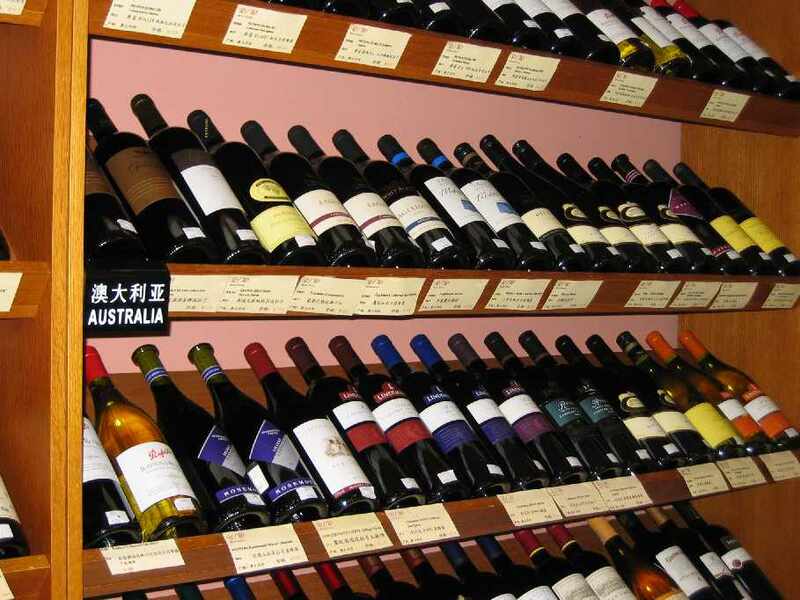 Fortunately there are a range of imported wines from all over the world available in Hong Kong, at a price. We managed to find some Australian wines for sale in the Japanese Jusco supermarket here in Shenzhen too, at prices varying from 150 RMB to 800 RMB. Cultural lesson: The Chinese are not wine makers.